Did you know a parrot lived at Mission San Juan Capistrano for many years? Did you know she greeted thousands of visitors to the mission? Did you know her name was Lola? This book is the true story of Lola, who arrived at Mission San Juan Capistrano with Father O’Sullivan in 1910. Visitors to the mission from across the country told others about her. 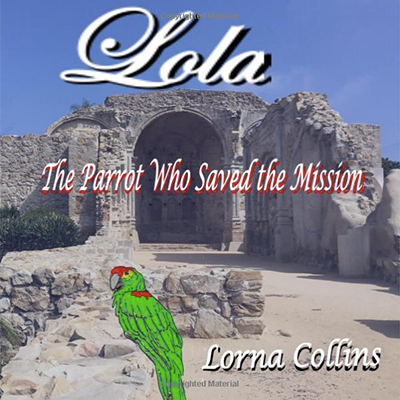 On December 7, 1932, Lola saved the mission. This story appeared in several newspapers. She died the following spring, and news of her death was also reported across the country. Father O’Sullivan buried her in the old mission graveyard. He followed her by only a few months. Today he is also buried in the mission cemetery.